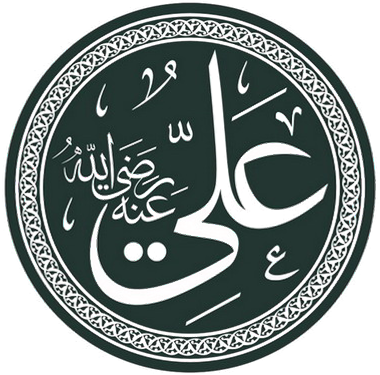 Ali bin Abi Talib (Arabic: علي بن أبي طالب) (c. 20 September 601 or 17 July 607 or 600 – 27 January 661) was the cousin and son-in-law of the prophet Muhammad, the fourth Caliph for Sunnis, and the first Imam for Shias, well known for his general knowledge, wisdom and eloquence. Most of the Sufi orders claim their descent from Ali. Awaken your heart to kindness and mercy for the people and love and tenderness for them. He who has a thousand friends has not a friend to spare, while he who has one enemy will meet him everywhere. Two things cause people to be destroyed: fear of poverty and seeking superiority through pride. Submission to Allah's Will is the best companion; wisdom is the noblest heritage; theoretical and practical knowledge are the best signs of distinction; deep thinking will present the clearest picture of every problem. The mind of a wise man is the safest custody of secrets; cheerfulness is the key to friendship; patience and forbearance will conceal many defects. A conceited and self-admiring person is disliked by others; charity and alms are the best remedy for ailments and calamities; one has to account in the next world for the deeds that he has done in this world. If you overpower your enemy, then pardon him by way of thankfulness to Allah, for being able to subdue him. When some blessings come to you, do not drive them away through thanklessness. He who is deserted by friends and relatives will often find help and sympathy from strangers. One who rushes madly after inordinate desire, runs the risk of encountering destruction and death. Often your utterances and expressions of your face leak out the secrets of your hidden thoughts. Hearts of people are like wild beasts. They attach themselves to those who love and train them. So long as fortune is favouring you, your defects will remain covered. Only he who has the power to punish can pardon. Patience is of two kinds: patience over what pains you, and patience against what you covet. Wealth converts a strange land into homeland and poverty turns a native place into a strange land. Contentment is the capital which will never diminish. Wealth is the fountain head of passions. Whoever warns you against sins and vices is like the one who gives you good tidings. Tongue is a beast, if it is let loose, it devours. O son of Adam, when you see that your Lord, the Glorified, bestows His Favors on you while you disobey Him, you should fear Him (take warning that His Wrath may not turn those very blessings into misfortunes). There are four causes of infidelity and loss of belief in Allah: hankering after whims, a passion to dispute every argument, deviation from truth; and dissension, because whoever hankers after whims does not incline towards truth; whoever keeps on disputing every argument on account of his ignorance, will always remain blind to truth, whoever deviates from truth because of ignorance, will always take good for evil and evil for good and he will always remain intoxicated with misguidance. And whoever makes a breach (with Allah and His Messenger) his path becomes difficult, his affairs will become complicated and his way to salvation will be uncertain. A virtuous person is better than virtue and a vicious person is worse than vice. Recommended prayers cannot attain the pleasures of Allah for you when obligatory prayers are left unattended. Value of a man depends upon his courage; his veracity depends upon his self-respect and his chastity depends upon his sense of honor. Whenever a tradition of the Holy Prophet is related to you, scrutinize it, do not be satisfied with mere verbatim repetition of the same because there are many people who repeat the words containing knowledge but only few ponder over them and try to fully grasp the meaning they convey. Anyone who loves us Ahlul Bayt must be ready to face a life of austerity. A friend cannot be considered a friend unless he is tested on three occasions: in time of need, behind your back and after your death. It is wiser to abstain than to repent. Obstinacy will prevent you from a correct decision. If two opposite theories are propagated one will be wrong. When truth was revealed to me I never doubted it. Death is never very far. One who forsakes truth earns eternal damnation. O son of Adam, if you have collected anything in excess of your actual need, you will act only as its trustee for someone else to use it. There are people who worship Allah to gain His Favors, this is the worship of traders; while there are some who worship Him to keep themselves free from His Wrath, this is the worship of slaves; a few who obey Him out' of their sense of gratitude and obligations, this is the worship of free and noble men. Through us you got guidance in the darkness and secured high position, and through us you got out of the gloomy night. The ears which do not listen to the cries may become deaf. How can one who remained deaf to the loud cries (of the Qur'an and the Prophet) listen to (my) feeble voice. The heart that has ever palpitated (with fear of Allah) may get peace. So now, surely this world has turned its back and announced its departure while the next world has appeared forward and proclaimed its approach. Today is the day of preparation while tomorrow is the day of race. The place to proceed to is Paradise while the place of doom is Hell. Is there no one to offer repentance over his faults before his death? Or is there no one to perform virtuous acts before the day of trial? O' my Allah! Sustainer of the high sky and the suspended firmament which Thou hast made a shelter for the night and the day, an orbit for the sun and the moon and a path for the rotating stars, and for populating it Thou hast created a group of Thy angels who do not get weary of worshipping Thee. O' Sustainer of this earth which Thou hast made an abode for people and a place for the movement of insects and beasts and countless other creatures seen and unseen. O' Sustainer of strong mountains which Thou hast made as pegs for the earth and (a means of) support for people. If Thou givest us victory over our enemy, save us from excesses and keep us on the straight path of truth. But if Thou givest them victory over us, then grant us martyrdom and save us from mischief. Where are those who protect honour, and those self-respecting persons who defend respectable persons in the time of hardship? Shame is behind you while Paradise is in front of you. During civil disturbance adopt such an attitude that people do not attach any importance to you — they neither burden you with complicated affairs, nor try to derive any advantage out of you. Every person who is tempted to go astray, does not deserve punishment. Our affairs are attached to the destiny decreed by Allah, even our best plans may lead us to destruction. Failures are often the results of timidity and fears; disappointments are the results of bashfulness; hours of leisure pass away like summer-clouds, therefore, do not waste opportunity of doing good. When Imam Ali was asked about Faith in Religion, he replied that the structure of faith is supported by four pillars endurance, conviction, justice and jihad. Conviction has also four aspects to guard oneself against infatuations of sin; to search for explanation of truth through knowledge; to gain lessons from instructive things and to follow the precedent of the past people, because whoever wants to guard himself against vices and sins will have to search for the true causes of infatuation and the true ways of combating them out and to find those true ways one has to search them with the help of knowledge, whoever gets fully acquainted with various branches of knowledge will take lessons from life and whoever tries to take lessons from life is actually engaged in the study of the causes of rise and fall of previous civilizations. Justice also has four aspects depth of understanding, profoundness of knowledge, fairness of judgment and dearness of mind; because whoever tries his best to understand a problem will have to study it, whoever has the practice of studying the subject he is to deal with, will develop a clear mind and will always come to correct decisions, whoever tries to achieve all this will have to develop ample patience and forbearance and whoever does this has done justice to the cause of religion and has led a life of good repute and fame. A wise man first thinks and then speaks and a fool speaks first and then thinks. A fool's mind is at the mercy of his tongue and a wise man's tongue is under the control of his mind. Lack of friends means, stranger in one's own country. Not to have a thing is less humiliating than to beg it. To refrain from unlawful and impious source of pleasures is an ornament to the poor and to be thankful for the riches granted is the adornment of wealth. If you cannot get things as much as you desire than be contented with what you have. An ignorant person will always overdo a thing or neglect it totally. The wiser a man is, the less talkative will he be. Time wears out bodies, renews hopes, brings death nearer and takes away aspirations. Whoever gets anything from the world lives in anxiety for holding it and whoever loses anything passes his days grieving over the loss. Whoever wants to be a leader should educate himself before educating others. Before preaching to others he should first practice himself. Whoever educates himself and improves his own morals is superior to the man who tries to teach and train others. Anything which can be counted is finite and will come to an end. If matters get mixed up then scrutinize the cause and you will know what the effects will be. A man sarcastically started praising Imam Ali, though he had no faith in him and Imam Ali hearing these praises from him said "I am less than what you tell about me but more than what you think about me." Those who have come alive out of a blood-bath live longer and have more children. One who imagines himself to be all-knowing will surely suffer on account of his ignorance. I appreciate an old man's cautious opinion more than the valor of a young man. I wonder at a man who loses hope of salvation when the door of repentance is open for him. Nawf bin Fizala Bakali, the famous scholar of the early Islamic days says that one night he was with Imam Ali. In the middle of the night, Imam Ali got up from his bed, looked for sometime at the stars and inquired of Nawf whether he was awake. Nawf said: "I got from my bed replying, "Yes, Amirul Mo'minin (Commander of the Faithful) ! I am awake". Imam Ali said Nawf! Those are the fortunate people who adopt piety as the principle of their lives and are fully attentive to their welfare for the Hereafter. They accept bare earth as the most comfortable bed and water as the most pleasant drink. They adopt the Holy Qur'an and prayers as their guide and protector and like Prophet Jesus Christ (Isa) they forsake the world and its vicious pleasure. Nawf! Prophet David (Daud) once got up at such an hour in the night and said this was the hour when prayers of everyone who prayed were accepted except of those who forcibly collected revenues or who were scandal- mongers or were persons in the police force of a despotic regime or were musicians". I define Islam for you in a way that nobody dared do it before me. Islam means obedience to Allah, obedience to Allah means having sincere faith in Him, such a faith means to believe in His Power, belief in His Power means recognizing and accepting His Majesty, acceptance of His Majesty means fulfilling the obligations laid down by Him and fulfillment of obligations means actions (Therefore, Islam does not mean mere faith, but faith plus deeds). If you understand Allah's Majesty, then you will not attach any importance to the creatures. When someone is sure of the returns, then he shows generosity. Aid (from Allah) is in proportion to the trouble. He who practices moderation and frugality will never be threatened with poverty. Loving one another is half of wisdom. Grief is half of old age. Grant of patience (from Allah) is in proportion to the extent of calamity you are passing through. If you exhibit fretfulness, irritation, and despair in calamities, then your patience and your exertions are wasted. Many persons get nothing out of their fasts but hunger and thirst, many more get nothing out of their night prayers but exertions and sleepless nights. Wise and sagacious persons are praiseworthy even if they do not fast and sleep during the nights. Defend your faith (in Allah) with the help of charity. Protect your wealth with the aid of Zakat. Let the prayers guard you from calamities and disasters. The first fruit of forbearance is that people will sympathize with you and they will go against the man who offended you arrogantly. One who takes account of his shortcomings will always gain by it; one who is unmindful of them will always suffer. One who is afraid of the Day of Judgment, is safe from the Wrath of Allah. One who takes lessons from the events of life, gets vision, one who acquires vision becomes wise and one who attains wisdom achieves knowledge. Bear sorrows and calamities patiently, otherwise you will never be happy. One who comes into power often oppresses. Adversities often bring good qualities to the front. If a friend envies you, then he is not a true friend. Avarice dulls the faculties of judgment and wisdom. Oppression and tyranny are the worse companions for the Hereafter. A greedy man will always find himself in the shackles of humility. Remember that this world which you covet so ardently and attempt to acquire so earnestly, and which sometimes annoys you and sometimes pleases you so much, is neither your home nor a permanent destination. You have not been created for it, nor invited to it as your resting-place. It shall neither remain with you for ever, nor will you remain in it eternally. If it has enticed you away with its charrns, it has also warned and cautioned you of real dangers lurking in its folds. Take account of the warnings it has given you and do not be seduced or deceived by its allurements. Let these warnings frighten you from being too greedy to possess it. Try to advance towards the place where you are invited for eternal bliss and turn your face away from the vicious world. My days are now passed on the camel's back (in difficulty) while there were days (of ease) when I enjoyed the company of Jabir's brother Hayyan. Nevertheless, I remained patient despite length of period and stiffness of trial, till when he went his way (of death) he put the matter (of Caliphate) in a group and regarded me to be one of them. But good Heavens! what had I to do with this "consultation"? Where was any doubt about me with regard to the first of them that I was now considered akin to these ones? But I remained low when they were low and flew high when they flew high. One of them turned against me because of his hatred and the other got inclined the other way due to his in-law relationship and this thing and that thing, till the third man of these people stood up with heaving breasts between his dung and fodder. With him his children of his grand-father, (Umayyah) also stood up swallowing up Allah's wealth like a camel devouring the foliage of spring, till his rope broke down, his actions finished him and his gluttony brought him down prostrate. Known as the Sermon of ash-Shiqshiqiyyah (roar of the camel), It is said that when Amir al-mu'minin reached here in his sermon a man of Iraq stood up and handed him over a writing. Amir al-mu'minin began looking at it, when Ibn `Abbas said, "O' Amir al-mu'minin, I wish you resumed your Sermon from where you broke it." Thereupon he replied, "O' Ibn `Abbas it was like the foam of a Camel which gushed out but subsided." Ibn `Abbas says that he never grieved over any utterance as he did over this one because Amir al-mu'minin could not finish it as he wished to. These are the orders issued by the creature of Allah, Ali, the son Abu Taalib to Maalik, the son of Ashtar when he appointed Maalik as the Governor of Egypt to collect zakat there, to combat the enemies of Islam and Egypt, to work for the welfare of its people and to look after its prosperity. Do not feel ashamed to forgive and forget. Do not get angry and lose your temper quickly over the mistakes and failures of those over whom you rule. On the contrary, be patient and sympathetic with them. Anger and desire of vengeance are not going to be of much help to you in your administration. Never say to yourself, "I am their Lord, their ruler and all in all over them and that I must be obeyed submissively and humbly" because such a thought will unbalance your mind, will make you vain and arrogant, will weaken your faith in religion and will make you seek support of any power other than that of Allah. If you ever feel any pride or vanity on account of your sway and rule over your subjects then think of the supreme sway and rule of the Lord over the Universe, the extent of His creations, the supremacy of His Might and Glory, His Power to do things which you cannot even dream of doing and His control over you which is more dominating than that which you can ever achieve over anything around you. Such thoughts will cure your mental weakness, will keep you away from vanity and rebellion (against Allah), will reduce your arrogance and haughtiness and will take you back to the sanity which you had foolishly deserted... Try carefully to realize that a ruler can create goodwill in the minds of his subjects and can make them faithful and sincere to him only when he is kind and considerate to them, when he reduces their troubles, when he does not oppress them and when he never asks for things which are beyond their power. These are the principles which you should keep in mind and act upon". Maalik! You must create in your mind kindness, compassion and love for your subjects. Do not behave towards them as if you are a voracious and ravenous beast and as if your success lies in devouring them. Remember, Maalik, that amongst your subjects there are two kinds of people: those who have the same religion as you have; they are brothers to you, and those who have religions other than that of yours, they are human beings like you. Men of either category suffer from the same weaknesses and disabilities that human beings are inclined to, they commit sins, indulge in vices either intentionally or foolishly and unintentionally without realizing the enormity of their deeds. Let your mercy and compassion come to their rescue and help in the same way and to the same extent that you expect Allah to show mercy and forgiveness to you. Awaken your heart to kindness and mercy for the people and love and tenderness for them. Never, never act with them like a predatory beast which seeks to be satiated by devouring them, for the people fall into two categories: they are either your brethren in faith or your kindred in creation. There is no capital more useful than intellect and wisdom, and there is no indigence more injurious than ignorance and unawareness. There is no knowledge and science like pondering and thought; and there is no prosperity and advancement like knowledge and science. Associating with the wise and the knowledgeable people adds to the prestige of a person. An alert and learned man will take advice from any event. There are three signs of a knowledgeable person: knowledge, forbearance and silence. Majlisi, Bihārul Anwār, vol. 2, p. 59. Books are the gardens of scholars. Abdul Vahed Tamimi, Ghurar al-Hikam wa Durar al-Kalim, p. 245. When wisdom reaches the pinnacle of perfection, it will suppress the vicious instincts and injurious desires. Reciter and listener of the Qur'an are alike in prize and reward. Understanding the knowledge and wisdom of the Qur'an is by far, higher than memorizing. The one from among the Muslims who recites the Qur'an but in the end finds his way to hell, is considerd to be among those that have taken the word of Allah in jest. Majlisi, Bihārul Anwār, vol. 92, p. 182. The character of the Commander of the Faithful (a.s.)(Ali bin Abu-Talib) was exceptional from birth to martyrdom. He was born inside the Ka'bah - which was unparalleled before his birth and remained unparalleled thereafter. And he was martyred while he was praying in the mosque. The Commander of the Faithful (a.s.) spent all the time between these two points in jihad, patience for the sake of God, acquiring knowledge and insight, and moving on the path of divine satisfaction. Early in his childhood, the hand of divine acumen gave Ali ibn Abi Talib (a.s.) to the Holy Prophet (s.w.a.). The Commander of the Faithful (a.s.) was only six years old when the Holy Prophet (s.w.a.) brought him to his own house from the house of Abi Talib. The Commander of the Faithful (a.s.) was educated by the Holy Prophet (s.w.a.). Ali is acclaimed as the "Father of Sufism". Most of the Sufi orders claim their descent from Ali. According to Ali Hajjweri, the rank of Ali is very high in the line up of Sufism. According to Junayd of Baghdad, Ali is the Shaykh as regards the principles and practices of Sufism. … The roots of Sufism lie embedded in Islam itself. There are numerous passages in the Holy Quran which are of a mystical character. The Holy Prophet of Islam (peace be on him) himself displayed mystical inclinations and he very often retired to the cave of Hirah for the purpose of devotions, meditation and contemplation. The Holy Prophet was recipient of two types of revelations, one embodied in the Holy Quran, and the other that illuminated his heart. The former was meant for all, the latter for a selected few whose hearts could be illuminated with the Divine Light. The knowledge of the Holy Prophet was thus book knowledge (ilm-i-Safina), and heart knowledge (ilm-i-Sina). Ali got this heart knowledge from the Holy Prophet. The most complete gift of God is a life based on knowledge. The innumerable fools have made the learned very scarce. The learned man understands the ignorant for he was once ignorant for he was once ignorant himself. The ignorant man does not understand the learned for he has never been learned himself. Knowledge gives life to the soul. To respect the learned is to respect God. Knowledge creates fear of God. To fulfill promises is the highest form of integrity. Truth means conformity of speech with the Divine mode of working. Friendship is impossible with a liar. Enemity is the occupation of fools. One's obedience to God is proportionate to one's wisdom. To fight against one's own desires is highest wisdom. The wise aim at perfection. The foolish aim at wealth. To separate oneself from things of time and to connect oneself with things of eternity is highest wisdom. He is really wise whose actions reflect his words. Humility is the product of knowledge. Humility is one of the nets spread by real greatness. Boasting issues from small minds. As quoted in Du’a Kumayl trans. N. Husayn Mardi, Chehel Sotoon Theological School: Iran, 1989. Do not share the knowledge with which you have been blessed with everyone in general, as you do with some people in particular; and know that there are some men in whom Allah, may He he glorified, has placed hidden secrets, which they are forbidden to reveal. Remember the reply of the righteous slave to Moses when he said to him: 'May I follow you so that you can teach me what you know about what is right?' He replied: 'Surely you will not be able to be patient with me. How can you be patient about something which you do not understand?'. When a dead person is placed in his grave, four kinds of fire will cover him, but then the prayer will come and put one of them out, and the fast will come and put another one of them out, and then charity will come and put another one out, and knowledge will come and put the forth one out, and it will say : ' If I had come sooner, I would a have put all of them out, and given you delight for I am with you now, and you'll not see anything else distressing. A person's intellect becomes apparent through his dealings, and a man's character is known by the way he exercises authority. The intellect is a king and characteristics are its subjects, so if it is weak in governing them, disorder takes place. The intellect is a natural disposition which learns from experience. The intellect is what arrives at what is correct through reasoning, and recognizes what has not yet happened through what has already taken place. Use your intellect to understand something when you hear about it-the intellect that examines, that is, and not just the intellect that repeats what it hears, for surely there are many who repeat the knowledge that they hear, and there are few who examine it. The one who has an intellect longs to be like the righteous people so that he can be of one of them, and he loves them so that he can be united with them in his love, even if he falls short in emulating their actions. The one who has an intellect does not openly display it except in one of two situations: when he is furthest away from seeking something in the world, and when he is furthest away from abandoning it. Surely hated adversity has final objectives in which it will inevitably end, so the one who has an intellect should try to sleep over it until this happens, for surely any attempt to stop it before it has come to an end will only intensify that hated diversity even more. The first opinion of the person of intellect is the last opinion of an ignorant person. The one who has an intellect finds harshness of life amongst persons of intellect more agreeable than a life of ease amongst the foolish. Nahjul Balagha online, Commentaries & "The Sayings of Ali"